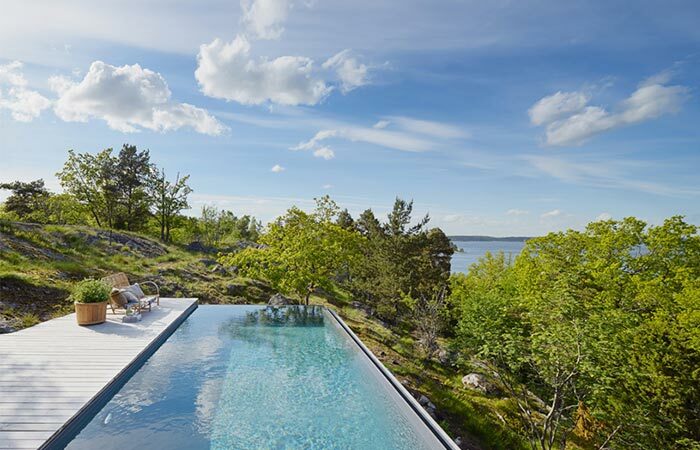 We have one more magnificent house worth of mention- the 70 square metres Aspvik House designed by Andreas Martin-Löf. 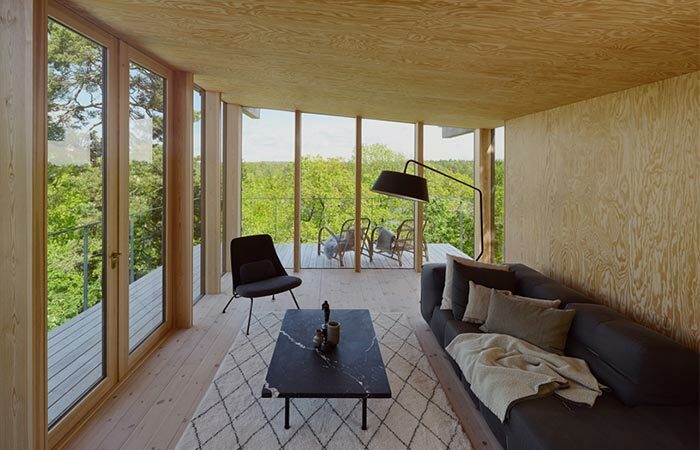 Located near Stockholm, on a steep hillside with pine trees surrounding it, this house has a breathtaking look as well as the view of the Baltic Sea. The interesting thing about this house is that it was built in three different time periods. First, in 1917, the Chinese-style tower was built and then in the 60s, the first floor was added. Now, Aspvik House also has the second floor, created to relate to the previous structure. 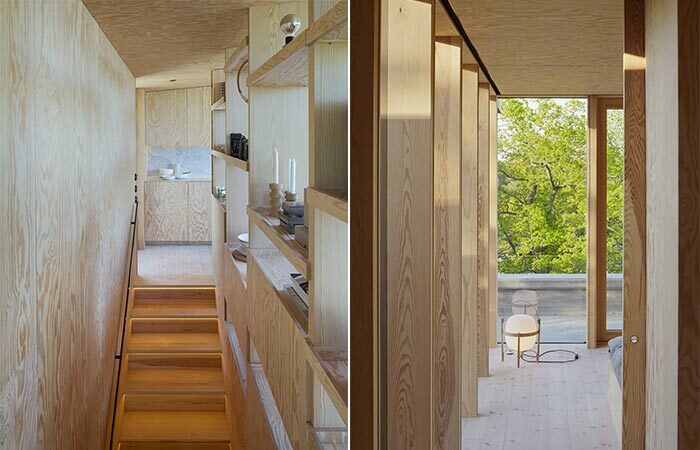 Aspvik House is a 70 square metres two-storey house designed by Andreas Martin-Löf. 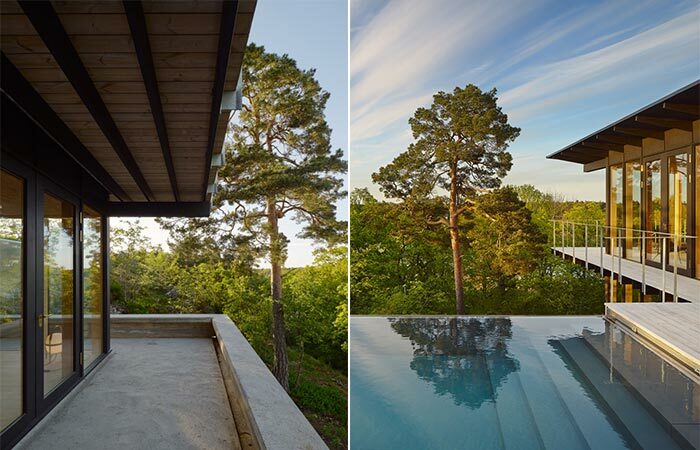 The house is constructed on a steep hillside and has a view of the Baltic Sea. 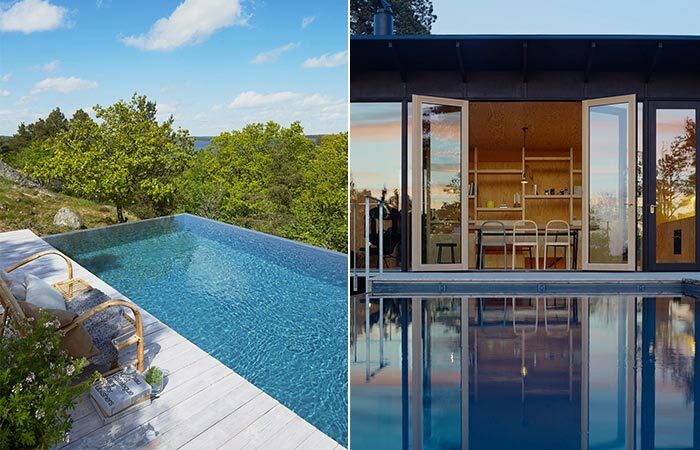 The top floor houses an infinity pool and a wooden deck. This two storey house is constructed using steel, timber and glass in a peaceful area, surrounded by natural landscapes. The lower floor is where the entrance hall, bedroom, bathroom and sauna are. Just like at the Rainforest House, the kitchen, dining and living areas are located on the top floor along with the infinity pool and a morning terrace. 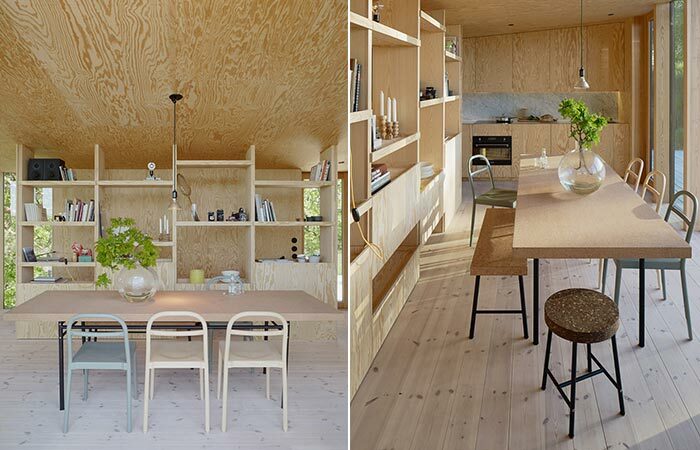 The living area is located on the top floor with wooden ceilings and walls. The master bedroom is at the first floor and just like the rest of the rooms, it has plenty of windows. 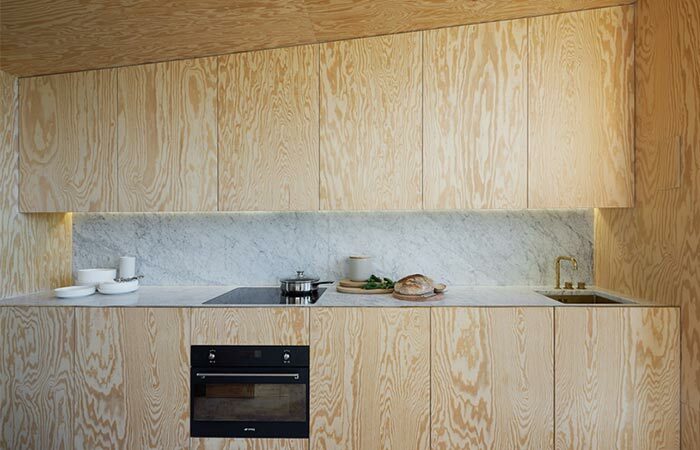 The kitchen is minimalistic and embraces untreated plywood interior. The stairs and the dining area are separated with a custom-built bookshelf. 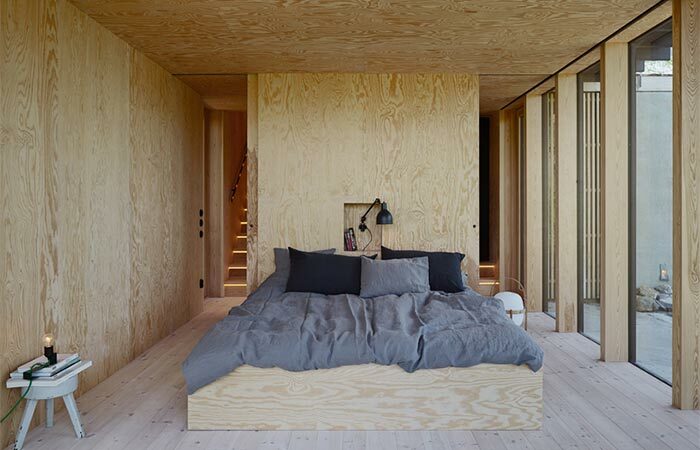 In general, the interior is minimalistic but warm, due to a pallet of untreated plywood walls and floors. Besides the wooden elements, Aspvik House features Carrara marble countertops, Nero Marquina marble tiles and brass fixtures. A big shelf separates the staircase from the dining area. This is also a great way for storage. The entrance hall and stairs. 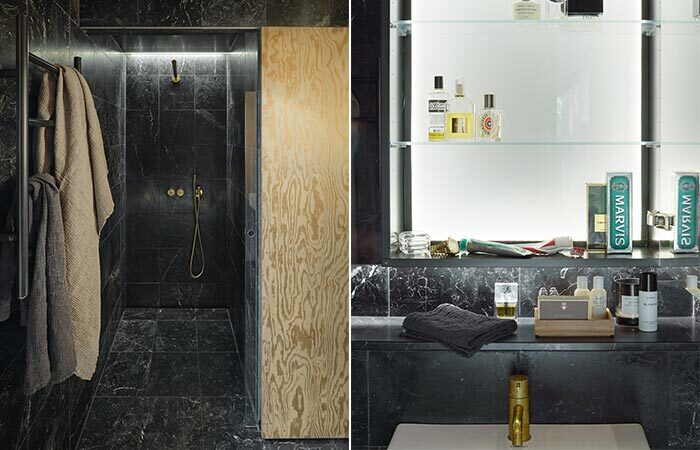 The black tiles in the bathroom are a great contrast with wood.